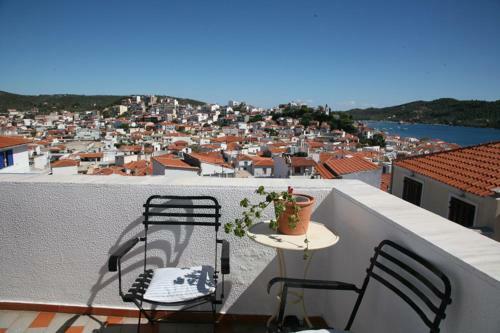 Centrally located in Skiathos Town, Hotel Mato offers rooms with views of the scenic town and the Aegean Sea from their balcony. Guests can enjoy a breakfast at the traditionally decorated lounge area with the fireplace. Free Wi-Fi is available. In an olive grove on the outskirts of Skiathos Town, 200 metres from Megali Ammos beach, Hotel Rene features a swimming pool and a snack bar. Rooms offer free Wi-Fi and a furnished terrace or balcony overlooking the Aegean Sea. The family-run Agnantema is centrally located in Skiathos Town and features rooms with free Wi-Fi, most enjoying views of the Aegean Sea. 2-way transfer from the port of Skiathos is offered free of charge. Located on the seafront in Skiathos Old Town, Villa Orsa is a 2-minute walk from the rocky beach of Plakes. 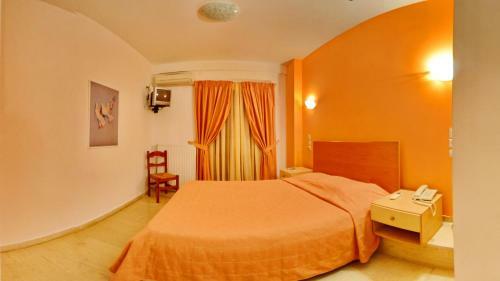 It offers rooms with free Wi-Fi and balcony or patio overlooking the gardens or the Aegean Sea. 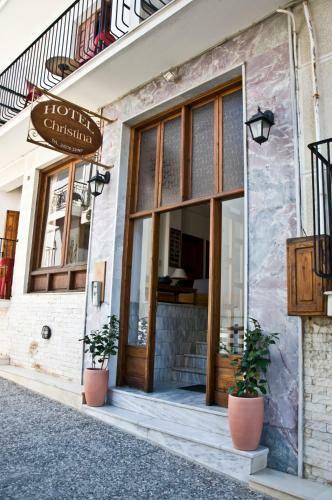 Hotel Christina is conveniently located in the centre of Skiathos Town, just 300 metres from the port and within a short walk from restaurants, bars and supermarkets. The property offers air-conditioned rooms with free WiFi access. 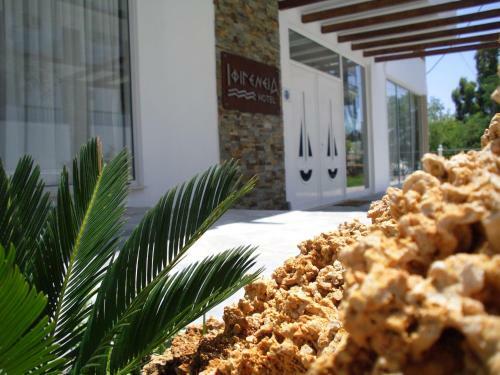 Ifigenia is situated next to the marina, within walking distance from the bus station connecting to the rest of Skiathos island. It offers rooms with balcony and a swimming pool. 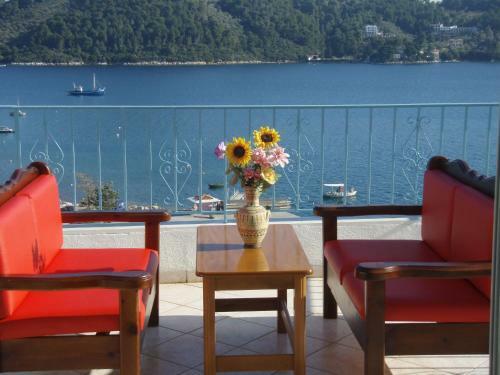 Akti overlooks the Aegean Sea with its location near Sk�athos Yacht Harbor. 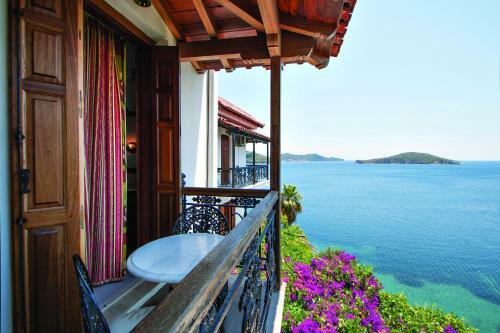 It features picturesque rooms opening out onto private balconies with views, some fitted with exposed wooden beams. Surrounded by a charming rose garden and palm trees, Hotel Vontzos is situated just 50 metres from Achladies beach in Skiathos. Wi-Fi and on-site parking are free. Hotel Marlton is located 300 metres from Skiathos Port and a 10-minute walk from Megali Ammos Beach. It offers air-conditioned rooms with furnished balconies, and free Wi-Fi is available. Easily accessible from the harbour and main pedestrian road, Pothos offers affordable accommodation right in the centre of Skiathos town. Pass peaceful days enjoying the relaxed and friendly atmosphere. 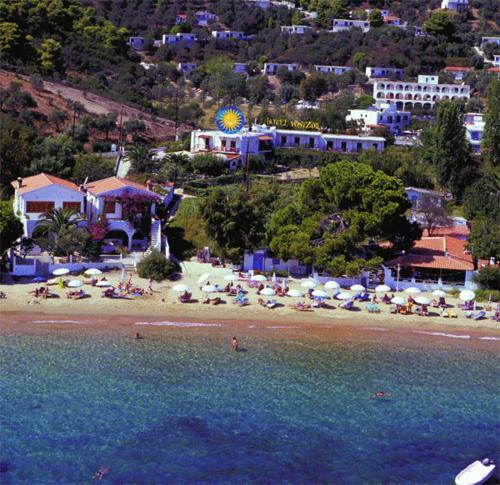 Lalaria is located 100 metres from a beautiful sandy beach and 700 metres from the centre of Skiathos Town. 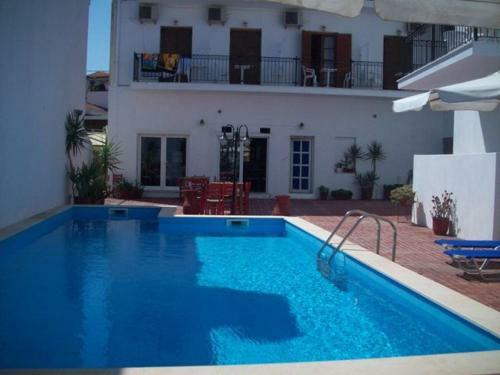 It offers self-catering studios and a pool bar serving breakfast. Aretousa Hotel is situated in the heart of Skiathos, less than 5 minutes� walk to the Skiathos Port and beach. Free Wi-Fi is available throughout the hotel. Rooms at the Hotel Aretousa are tastefully furnished.